Start-up Capital or Business Idea? There is a big question out there as to: Which is more important to have – Start-up Capital or Business Idea? I believe both are important in starting and building a successful business but I also believe that none of the two should be a show-stopper to pursuing our purpose, passion, calling or whichever way we are choosing to express our God-given gifts and talents! 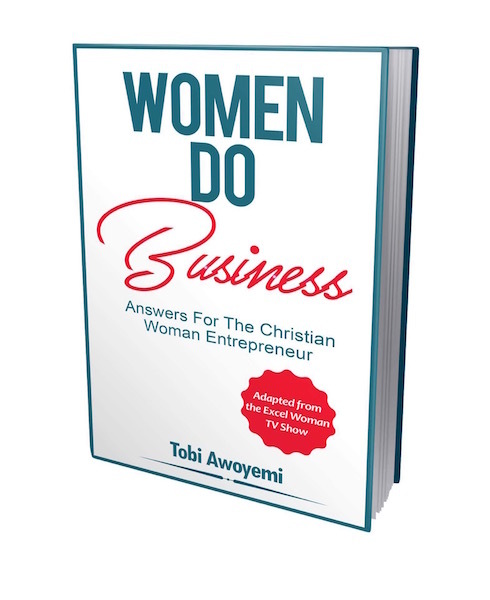 Below I answer specific questions (from the EXCEL WOMAN TV SHOW) on the importance of Start-up Capital and A Business Idea to the success of your Business and how NOT to let either stand in your way! QUESTION: How much Capital do I need to Start My Business? You want to start by determining what kind of business it is you want to go into and then, what you will need to start out on your new venture. Is it a home, small or medium-sized business? Will you need a lot of equipment and machinery as this will determine how capital-intensive your business will be. The location your business will run from is also a very important factor when it comes to capital. Do you need to rent an office space, large factory or can you work from home? What kind of facilities will you need? Electricity, Phone, internet access – these facilities might be easier for you to incorporate into your current spend if you choose to work from home but might mean additional expenses if you will be renting an office space away from home. Will you need employees or will you be starting out as a one-man show? What professional level of staff would you need? For example, there will be a big difference between hiring high-level professionals and staff who you are happy with to learn on the job. What kind of marketing strategies will you be adopting? There will be a huge difference in your marketing budget if you are choosing to do billboard, television, radio or newspaper advertising from if you choose to go for methods with much lower costs, such as social media and online advertising as a whole. QUESTION: What’s more Important for a Start-up: A Business Idea or Capital? 1. I believe it’s having a business idea. A lot of people have deprived themselves of the life and future they want by giving the excuse of not having capital. Don’t let money stand between you and your dreams. I believe there is always a way – starting small, loans (small or large), investors, partnerships, raising finance by yourself or through others and more. 2. Be sure to write your ideas down. The plans you have written down add fire to your drive to succeed in every area of your dream, including sourcing capital and seeing your business work. 3. Remember, God can always make a way for us where there seems to be no way. Pray consistently for your business idea (and the business you already run) and God will open doors of opportunity for you. QUESTION: Should I get a Franchise or Start-up on My Own? You have an avenue for sales as there is a ready-made target audience, especially if the franchise is a successful brand. There might be details in methods you don’t agree with but will not be allowed to change due to set processes, in essence, it will be very difficult for processes and systems that have been put in place to be changed for you. Most successful and established franchises are usually deemed to be on the expensive end, in terms of the cost of purchasing a licence. QUESTION: How Can I minimise the risk of losing money on a new Business, even after thorough Research? 1. Interview people who have done the same type of business before. Take time out to meet and discuss with them. Find people who can tell you the ins and outs of this business. Find out how you can leverage their lessons in success and avoid any mistakes they made. 2. Attend events, conferences, shows and exhibitions that cover the industry activities. 3. Go on courses, trainings and workshops targeted towards the area of Business you are going into. 4. Another way to minimise the risks that might be involved in starting this new business is to start on a small scale. You can carry out a trial if possible, or create small samples of your product. You may also choose to test your idea out on a small group of people or community. In conclusion, test the waters first before you make a final decision.